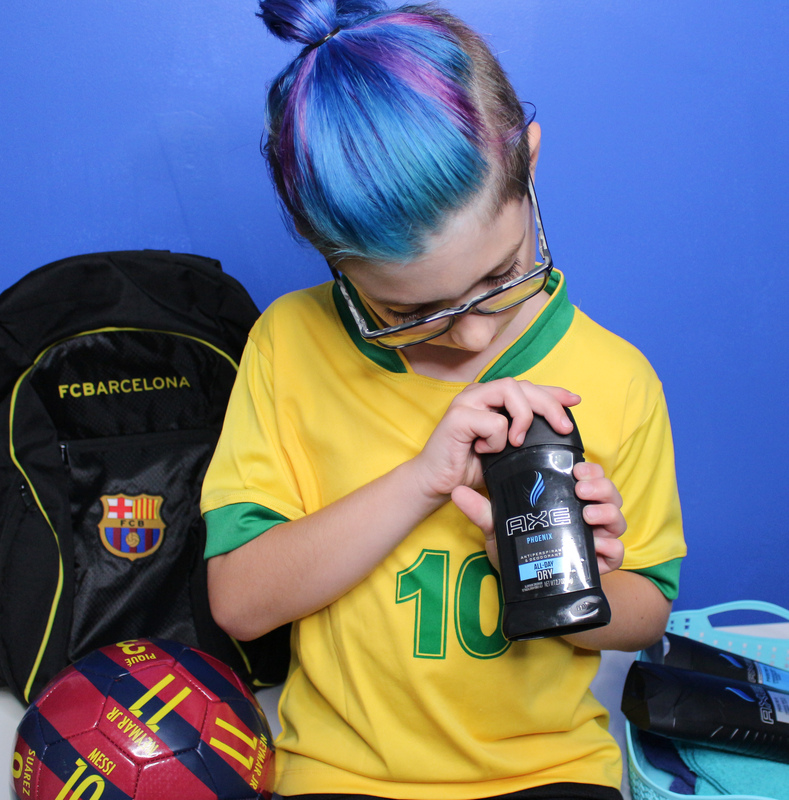 Have you ever smelled your kid after they have just run up and down a soccer or any other field for an hour? It’s not pretty. 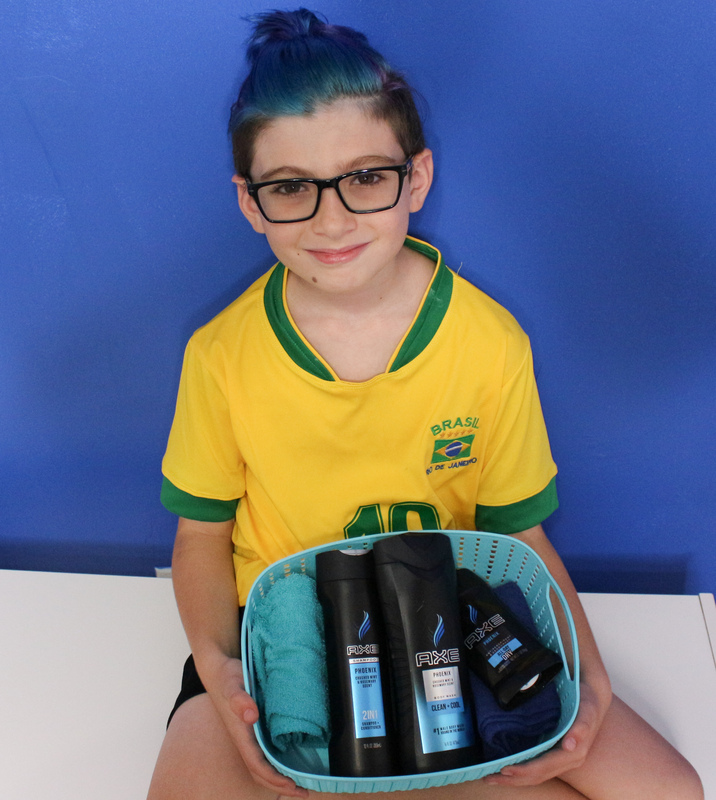 With Fall soccer starting back up again, I am preparing myself for more laundry, more smelly socks, and more showers. Luckily, AXE (and Wegmans!) 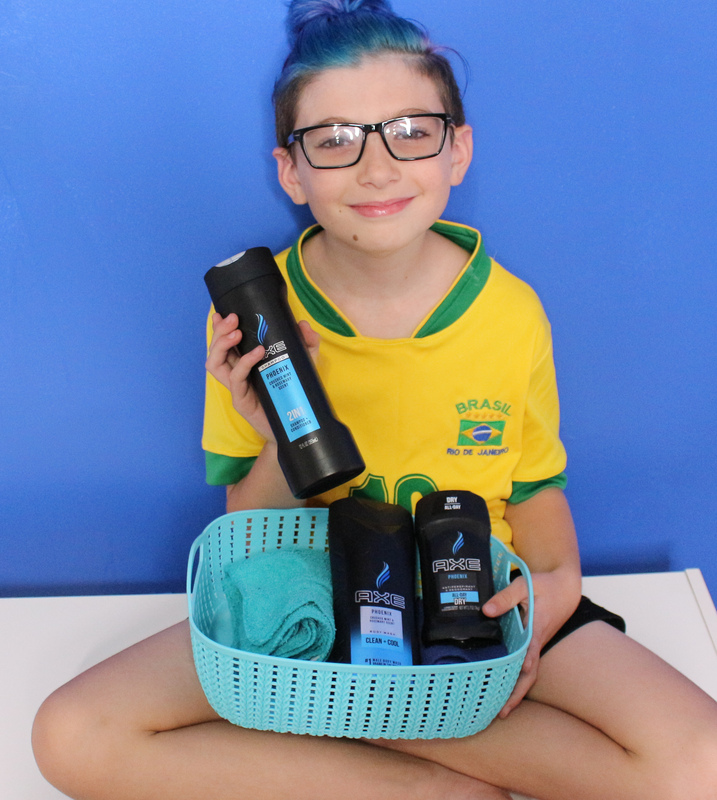 have our back during sports season and has Rylan smelling fresh to death after a game with their Blue Phoenix line. 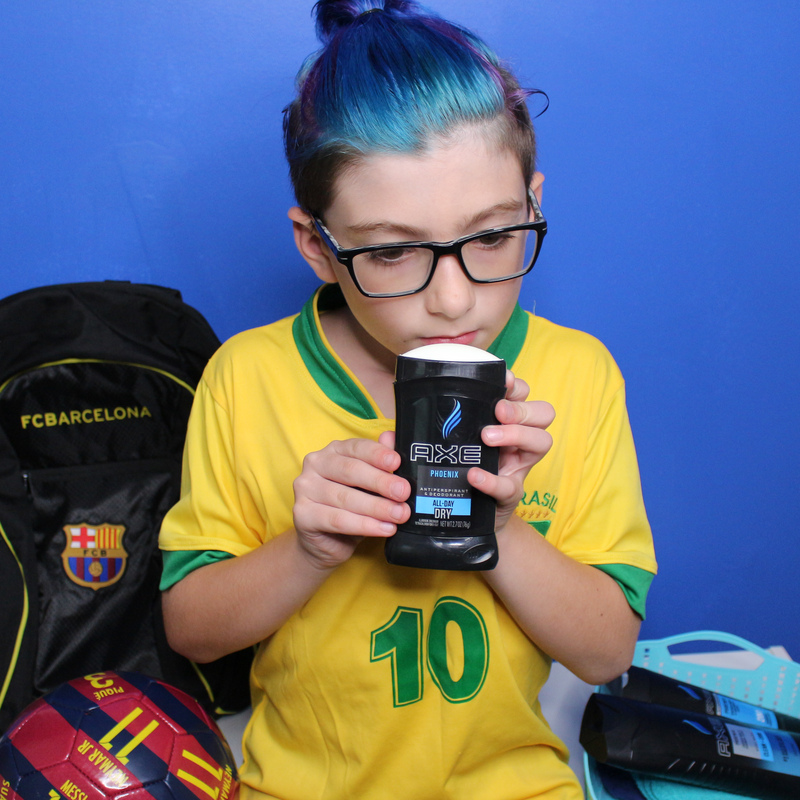 First things first, before ANY game – we need to get our deodorant on. This is something Rylan does on the regular before school, so I’m glad he knows it’s just as important to do before a game. 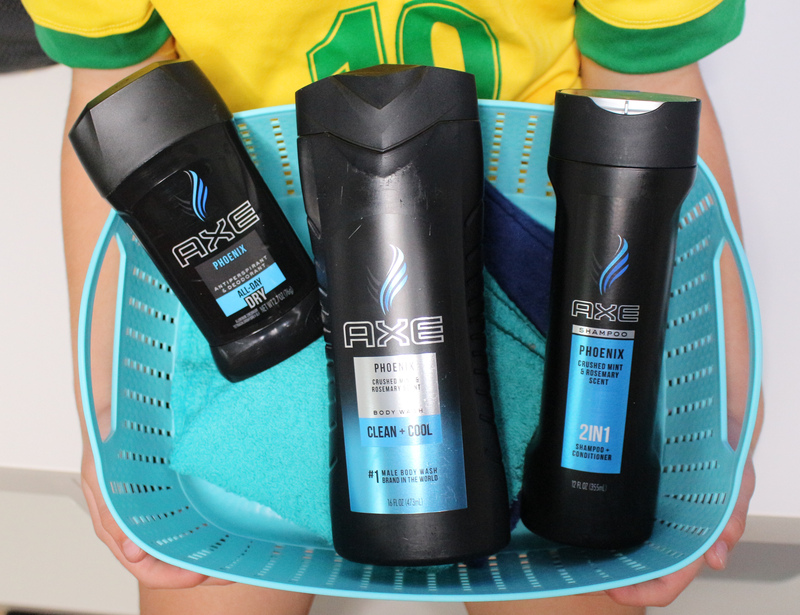 The AXE Phoenix deodorant stick has a classic & fruity scent that isn’t too overpowering. 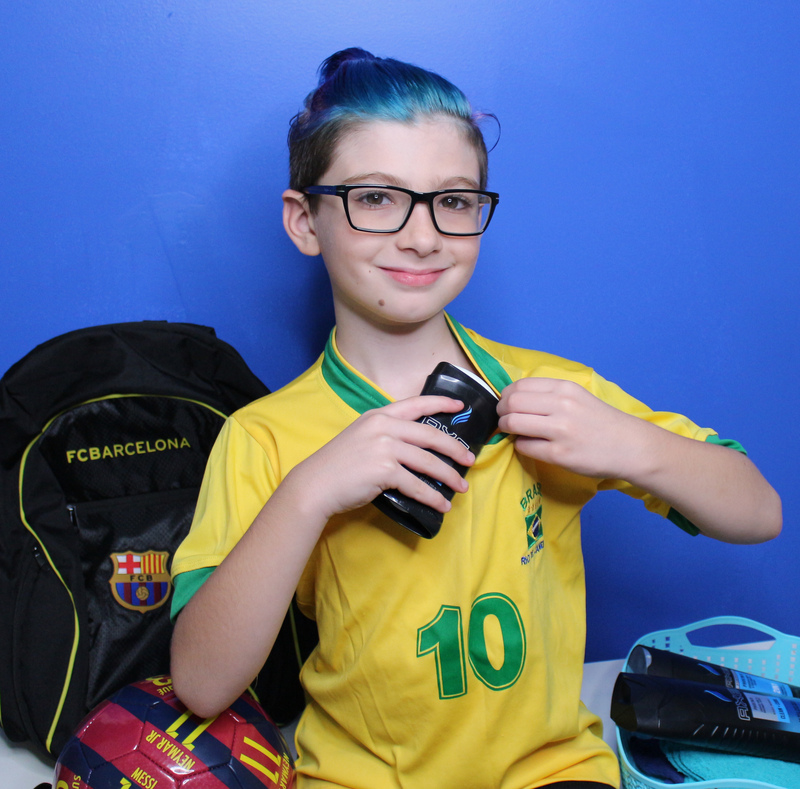 It goes on smooth to provide all-day freshness and odor protection when you’re out there trying to score the winning goal. Now after the game? That’s a whole different scent story. ha! 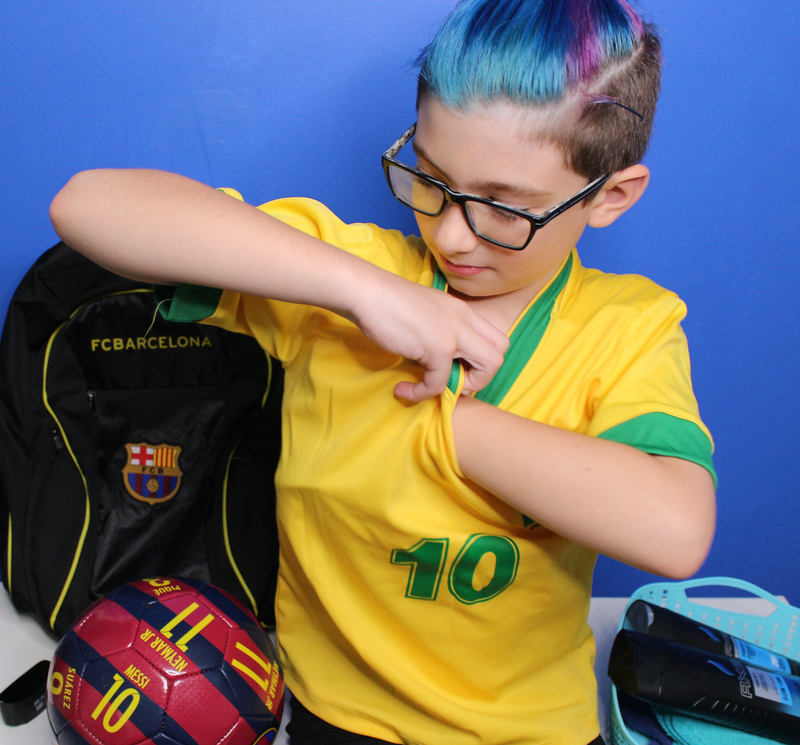 We have a routine when we come home that basically goes something like this – Cleats, socks & shinguards off & in the garage, throw your uniform in the basement, strip down, grab your products and get right in the shower. 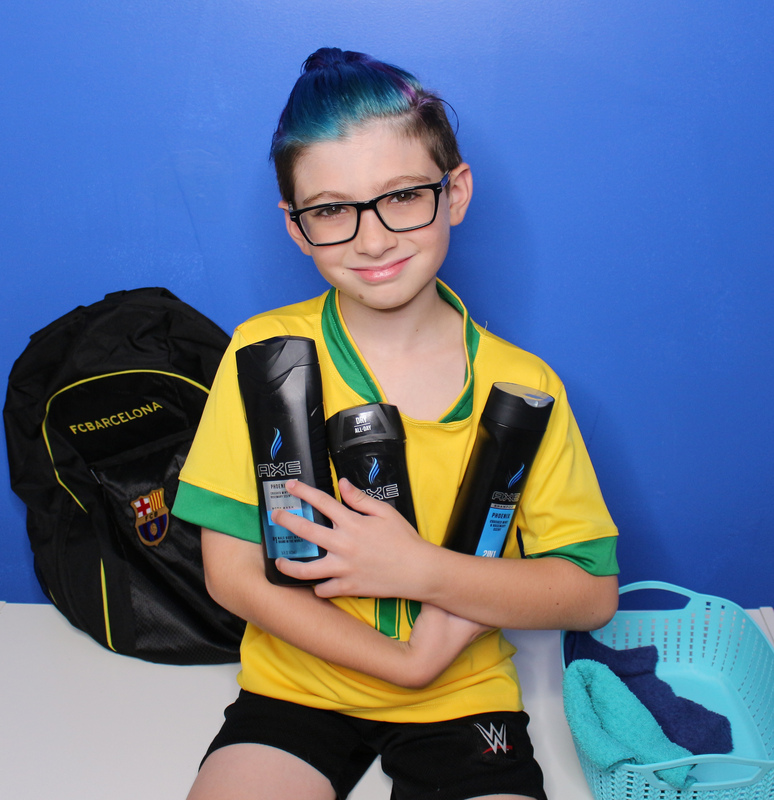 The AXE Phoenix 2-in-1 Shampoo & Conditioner gives hair the ultimate clean. This special formula will strip away the dirt, grime and hair products of the day to leave you with fresh, clean hair. I also love that it’s a 2-in-1 because it cuts down on his shower routine and he can’t get out of there fast enough. AXE products have definitely saved this moms nose & they can for you too with this special offer at Wegmans! 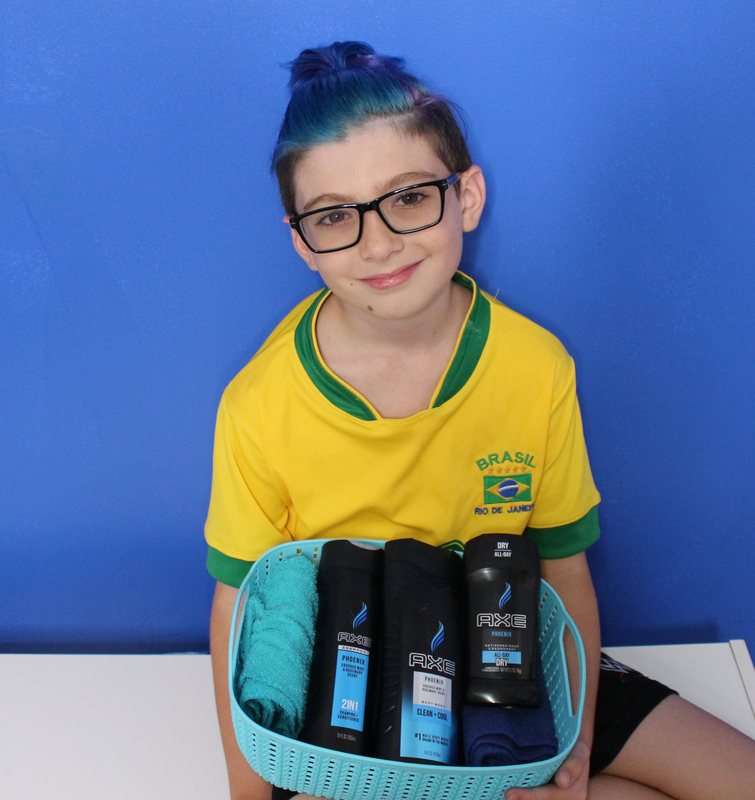 I remember my son’s days of running track & cross country and wearing Axe, lol.